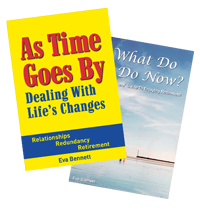 If you want insights and practical suggestions on how to handle the impact of major life changes like redundancy, relationships, retirement, financial crisis, moving, serious illnesses, natural disasters, to name a few, then Eva Bennett’s latest book, “As Time Goes By – Dealing With Life’s Changes” can give you hope and direction. Learn how to work through the 5 step process, to move on from endings to new beginnings and let go of the past. Eva gives suggestions on how to ‘pull out the weeds’ in your life and ‘take the plunge’ into new beginnings. You only have one life – make the most of it. Learn how you can become the boss of your thought patterns and turn around ‘fear’ thoughts, to change your life for the better. 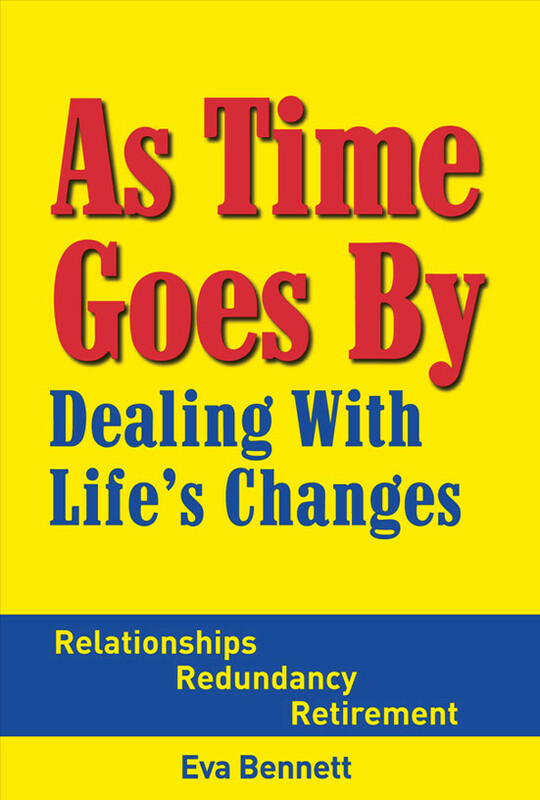 “Scattered with inspiring quotes and personal stories, “As Time Goes By” makes you want to jump up, grab life by the horns and take action to change what needs changing -now! The information contained within the book’s wise and witty pages, is as relevant to an 18 year old as it is to an 80 year old. This is no ‘airy-fairy’ motivational book – it’s just good advice that makes sense.” – Meagan Jones, Editor of ‘Rotarian Life & Leisure’ magazine. Instead of dreading retirement, this new stage of life can be a wonderful opportunity to re-invent yourself. Because we are living up to 30 years longer than people 100 years ago, it is important to have strategies to make the most of those years. 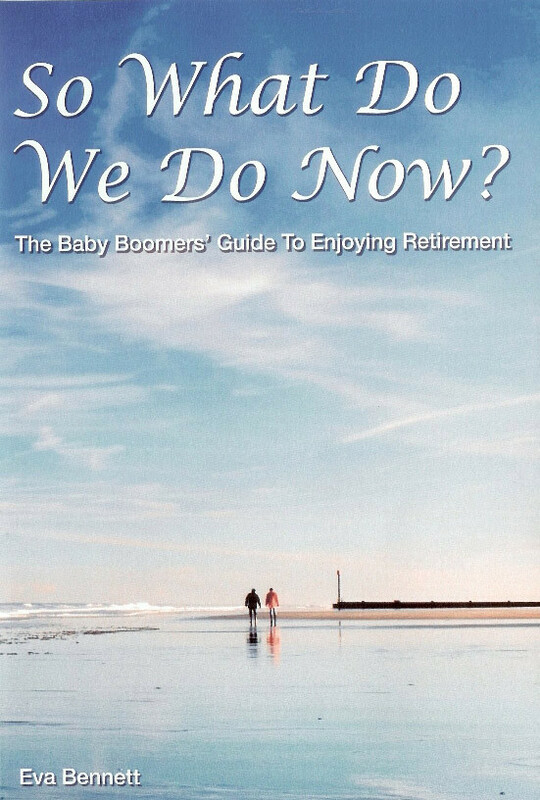 This book has helped thousands of baby boomers over the past 5 years, to be able to look forward more confidently to life after full-time work. This book shows you:- HOW the ‘neutral zone’ can help you to transition successfully into this new stage of life. HOW to use the ‘life wheel’ to bring balance to all areas of your life. HOW to create the ‘H’ factor to live a rich and fulfilling life. HOW to use mental fitness techniques that can help to slow down the ageing process. I have read both your books with great interest as I recently retired. I particularly enjoyed your second book “As Time Goes By- Dealing with Life’s Changes”. The chapter on “Pull all the weeds out now” must have been written with me in mind. Also the advice about finances and personal health are very relevant, whether one is still in the the workforce or about to retire and take a new direction. Thank you for putting together your thoughts and experiences down in such a clear and enjoyable way. I highly recommend your books to all people getting ready to retire and wanting it to be a wonderful stage of life.